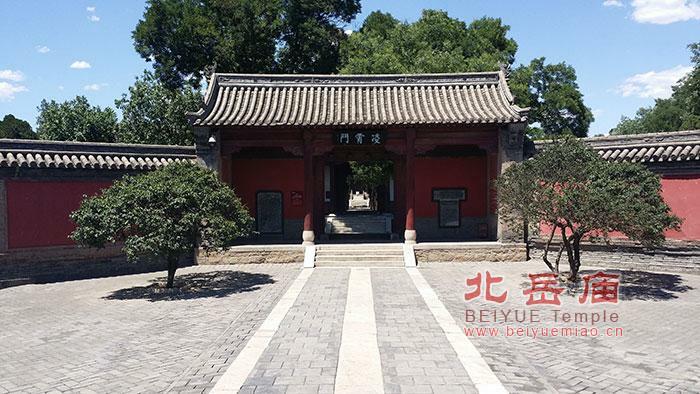 Lingxiao Gate isthe third gate of Beiyue Temple, built during the Jiajing reign in the MingDynasty and rebuilt in 1987. It covers three-roomwide and two-room long with a Single-Ridge and a Yingshan-Roof. Also a splayedZhaobi Wall stands in front of this gate.